Book lists: the bane of every student loan. Just when you think you can maybe afford it, there’s an ‘essential’ and ridiculously expensive textbook that blows the budget. Usually that textbook is more expensive than the rest of your books combined and what makes matters worse is that you’ll use that textbook just a couple times. But we’d all rather fork out that cash than get ranted at by our lecturers – right? I can offer you a solution that lets you keep your cash and get that integral textbook. How, you ask? You don’t steal it or try and take hundreds of pictures on your phone after borrowing your friend’s copy – nope and no. You just go to an Oxfam Book shop! This hidden gem has every kind of book you could possibly think of. You just need to fight through the piles of Jeremy Clarkson autobiographies to find them. 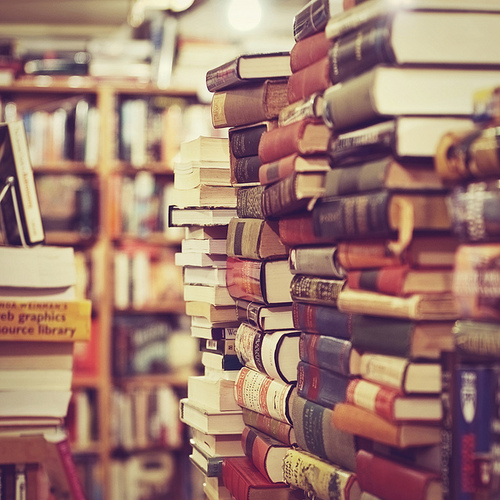 Your subject is more than likely to have its own section in the book shop, and even if you have no luck there, there is usually an academic section filled with textbooks. If you are an English student and you haven’t already familiarised yourself with the shop then shame on you as I have personally seen every book on our reading lists several times for the beautiful price of £1.99. Going to a charity shop to get your books may seem like a strange suggestion, after all who wants a used book that has probably had a lifetime of neglect? Plus nothing beats the satisfaction of going to John Smiths and getting a pile of brand new books with that fantastic new book smell – but is the price really worth it? You could spend your money on better things – like rent or food. And what is important to understand is that some of the books in the book shop are brand new and still at an amazing price. Several students, who are not hell-bent on getting 20% of their original investment back by selling the books back to John Smiths simply donate their books so cheap students like ourselves can reap the benefits. I got a huge Norton anthology for 10% of the original price and that made the textbook worth it. Our closest one is on Royal Exchange Square next to Buchanan Street – don’t be afraid of going through those doors, I promise that you will find books on the other side. One last hugely important thing to remember before you sit your Strathclyde Telegraph to one side and run frantically towards Royal Exchange Square is this: you are not only saving money. You are helping charity raise money. Oxfam has several important campaigns on at the moment so while you are in there why not find out a little about them and see how else you can help? Failing that just buy loads of books and you’ll feel good about yourself. Posted in Features and tagged BOOKS, charity, feature, oxfam. Bookmark the permalink.